Radix, one of the largest domain portfolio registries, announced that its program, the Startup League, supported 20 startups on its domain extensions at Collision Conference held in New Orleans, Louisiana, from 30th April to 3rd May. The Startup League had received 50+ applications from startups across geographies and industries for this event. Of these, 5 startups were given a 100% sponsorship and rest were supported with partial sponsorship. Each of these 20 startups also received branded merchandise, media coverage and exposure to investors and industry influencers through the Startup League. In all, 500+ startups exhibited at this mega event this year. The five startups that exhibited at Collision through the Startup League on 100% sponsorship include vempathy.tech, smartpay.space, brain2bot.tech, virtualspaces.tech and gliq.tech. Speaking about the adoption of nTLDs by startups, Lenold Vaz, Program Head, Startup League, said, "Collision was an action packed event for us and clearly showcased the affinity that tech startups have for new domains, especially .TECH. While this was one of our first endeavors into the North American market, I am convinced that the adoption of our domain extensions will grow significantly in the future. I am looking forward to Collision's Toronto event next year and tapping into the startup ecosystem there. " Created by the team behind Web Summit, Collision is regarded as America's fastest growing tech conference. It saw 25,000+ attendees including 3,750+ CEOs from 5600+ companies across 120+ countries. Other attendees typically represent the world's fastest growing startups and the world's largest companies, along with investors and media. This New Orleans based event, which is now in its 5th year, will be moving to Toronto next year. The Startup League's efforts are spread across the globe, having recently supported startups at Tech in Asia, Singapore and TNW Conference, Amsterdam in May. Next, they are looking at supporting startups to RISE Hong Kong, Asia's largest tech conference. 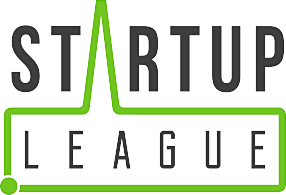 The Startup League is a startup support program which was launched by Radix in 2016 and currently comprises over 200 startups and 100 partners from the global startup community. The program has supported startups at over 25 events through sponsorships and has collaborated with several media platforms to give its startups significant visibility. Local Time: Saturday, April 20, 2019 03:21 PM PDT – Page Load: 0.2450 Sec.